World Poker tournaments are heating up around the country. If you’re a gambling enthusiast, you’ve learned a few things about smart betting. Adopt the same perspective in your financial life by reviewing the tips below. They will help you score a winning hand and better credit. Assess the environment. The first rule of poker is to play your opponents, not the cards. The same is true for financial strength. Credit repair isn’t a one-size-fits-all process. Improve your life by taking an individualized approach. Review your credit reports with our staff and get specific. What are your strengths and weaknesses? Identifying the problem is the first step to finding a solution. Review the rules. Would you play a straight against a flush? Increase your chance of a win by understanding the rules. In the case of credit repair, it’s important review the Five Factors of scoring. For example, how does payment history impact your credit? What about new accounts and unpaid bills? Become a star player by brushing up on vital information. Know your limits. 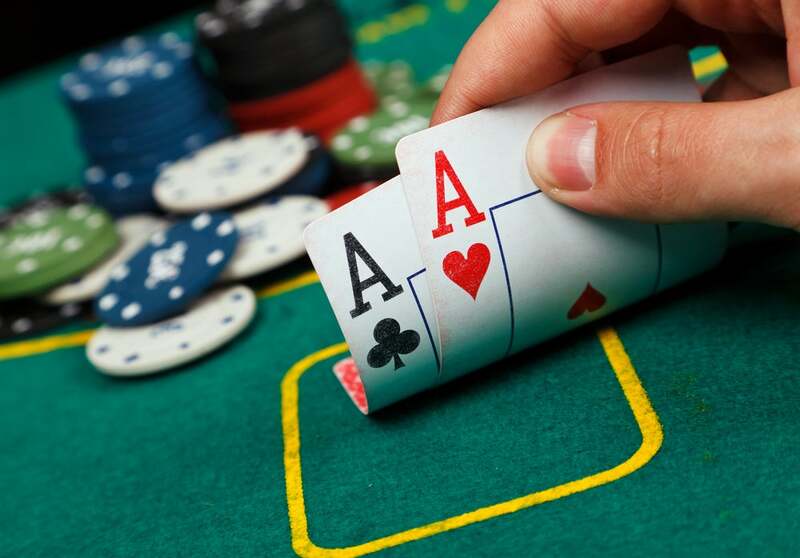 No-limit poker is risky if you’re a novice, and credit is no exception. A seasoned poker player wouldn’t over-bet, and you shouldn’t overcharge. Keep your credit utilization ratio in fighting form by charging no more than 25 percent of your combined limits. For example, if your credit card has a $10,000 limit, keep your balance below $2,500. If you aspire to the ranks of the 800 Club, further your efforts by maintaining a utilization under 10 percent. The bottom line: Know your limits. The result will keep you in the game. Applying for a loan without good credit. Scenario: You need a new car but aren’t sure if your credit score is in good shape. You apply anyway and the application is denied. Not only are you saddled with bad credit, another hard inquiry was just added to your credit report, a consequence that could damage your credit further. Don’t play your cards blind. Order free copies of your credit reports before pursuing new accounts. Work with our team to review your information and build a positive history. Living beyond your means. We’ve talked about the dangers of keeping up with the Joneses. Stretching your income can lead to high credit card balances, late payments, collections and credit damage. Do yourself a favor and stick to a reliable budget. Know when to go all in. Credit repair requires more than a leap of faith; it requires commitment. Whether your goal is to cut back on spending, buy a home, or simply sleep at night, it’s time to go all in with your efforts. Read our blog for credit repair information and commit to changing your life now, not tomorrow. Why wait for the ultimate payoff?